For the first time, ATP is displaying at Automate 2019 in McCormick Place/Chicago, IL. 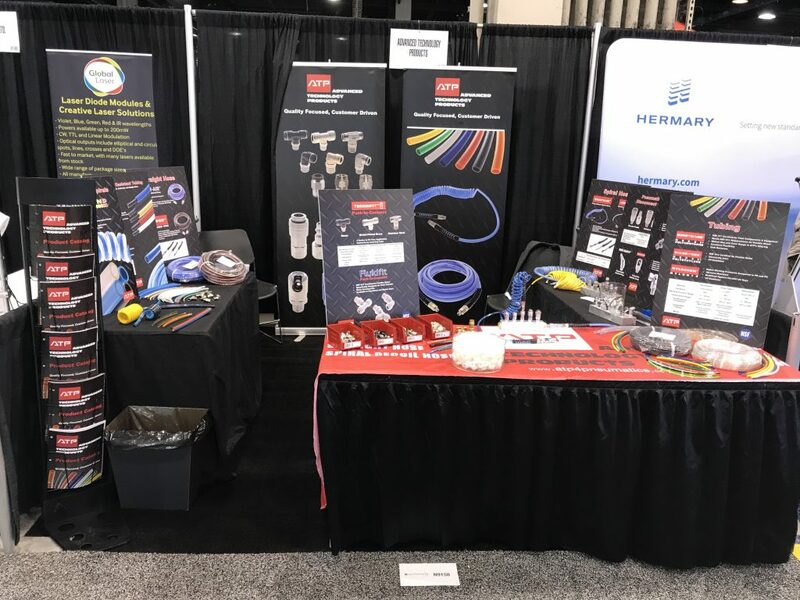 On display is our broad lineup of tubing, fittings, and other quality accessories. In attendance are Duane Campbell (VP Sales & Marketing) and Larry Kramer (Regional Sales Manager). Be sure to visit ATP at booth 9158 and we’ll discuss how we will provide value to your organization. ← Busy Recruiting Week at ATP!